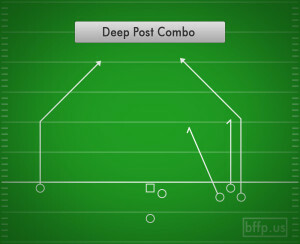 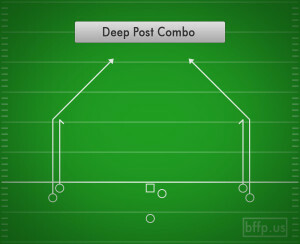 The Deep Post Combo is a great way to attack downfield. 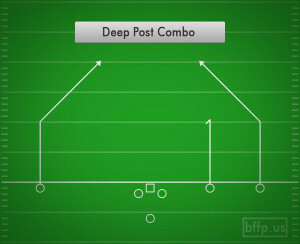 The Post Route needs to be a skinny post with a trajectory that doesn’t cross the middle of the field. 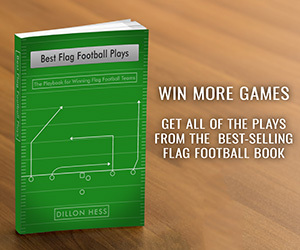 The Slot Receiver needs to run his Curl Route in a way that grabs the attention of the Safety. 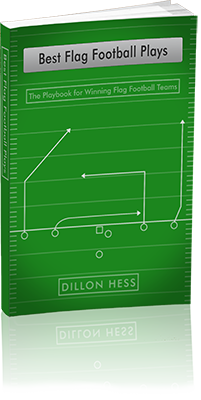 The Quarterback’s read should be focused on the Safety. If the Safety stays high and guards the Post Route, then drop down and throw it to the Curl Route. If, however, the Safety is drawn down to the Slot Receiver running the Curl, then throw over his head to the Post running downfield.